This specialist is a Car Care Centre but also offers mobile repairs. Brilliant service from Rob from the minute I contacted him for an estimate to when the job was finished. Rob gave me an estimate after working hours and was emailing me regarding my estimate up to 11pm that same day/night. It was because of this service I booked in with Rob. Arrived for 9am at the door and ready to start straight ... Read more away. A brilliant job, the car is back to as good as new after an inconsiderate van driver hit my car and drove off. Although frustrating, it wasn't so bad after a good price and excellent service from a fantastic professional! ChipsAway in Chelmsford / Maldon - Excellent quality of work at a very reasonable and acceptable price. The friendly and helpful staff kept me appraised of the work and the timescales while I waited. Great service. I would certainly use them again. Thank you for the excellent care and attention, from initial response to the final work, on bringing our car to a pristine condition once more. The quality of the repair was excellent and we are very pleased with the work and the attention of ChipsAway - Thank you. I would like to say I found your company a very professional and reliable one. Turned up at agreed time to provide a quote for numerous scratches on my Mercedes. The quote received without delay and competitive, car collected on time and returned same day at 4pm The work carried out was excellent and the car looks like it's just ... Read more come out of the showroom! Well done, happy to recommend you any time! They were excellent. We needed to send our leased van back to the company. It had a big dent and scrape down one side. They booked me in and I was done in a day. The leasing company have the van back and they never brought it up. So definitely a good job. Happy to recommend. First class service from a local business From initial enquiry to finished job the service was efficient, professional and friendly. As a single lady I feared sorting out a car issue for fear of being ripped off. This was absolutely not the case. 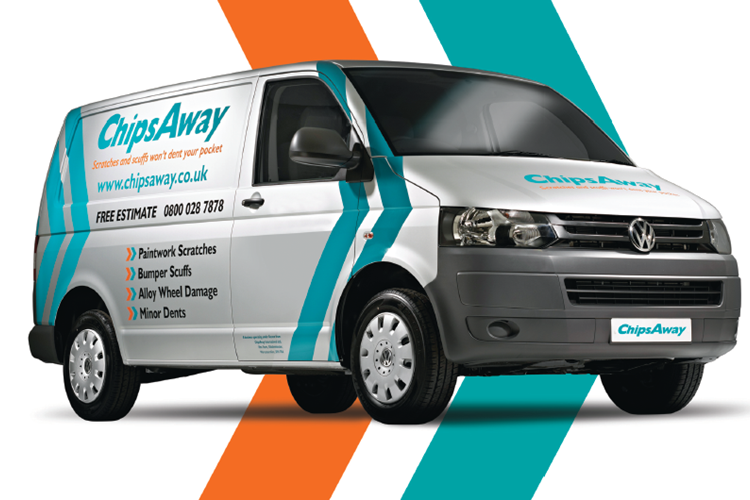 Rob Slade of ChipsAway Chelmsford, and team, couldn’t have been more accommodating to ... Read more work around my availability, collected and returned car...nothing was a problem. I’m one very happy customer. Well done Rob and team; you should be very proud of the service you offer. 5* service and very reasonable cost for the work done. I wish more businesses were run like this. Would not hesitate to recommend this local business. Excellent work, friendly people. I highly recommend this company. A very heartfelt thank you to Rob, who last month refused to take a penny from me to repair some damage to my dad's car that occurred while it was parked up during his stay in hospital. I never told dad about the damage, as the car was his pride and joy and he made me promise I would look after it. Sadly, dad never got to see or ... Read more drive the car again, and passed away a couple of days ago. I'm so grateful to Rob for his gesture of kindness. It made a stressful situation much more bearable, and it meant I kept my promise.